My Vogek Foldable Laptop Stand Review. 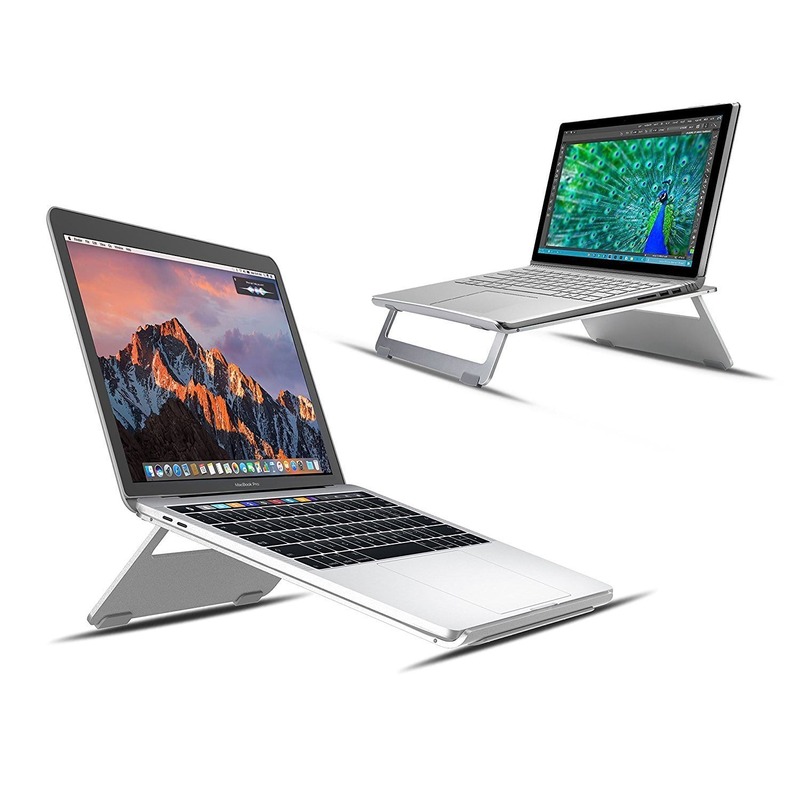 Vogek is a foldable, portable, aluminium-made laptop stand designed for both laptops and tablets. The Vogek matches perfectly with Apple’s products, including: MacBook Air, MacBook Pro, iPad, and so on. It’s made of aluminium body and silicon feet, which kinda gives it a solid stability and sturdy design. It’s easily foldable and weights no more than 1.8 pounds, which makes it conveniently portable. Read all the 150+ customer reviews on Amazon here. Very portable, weighs around 1.8 pounds. Vented – The little space in the middle makes ventilation easy. 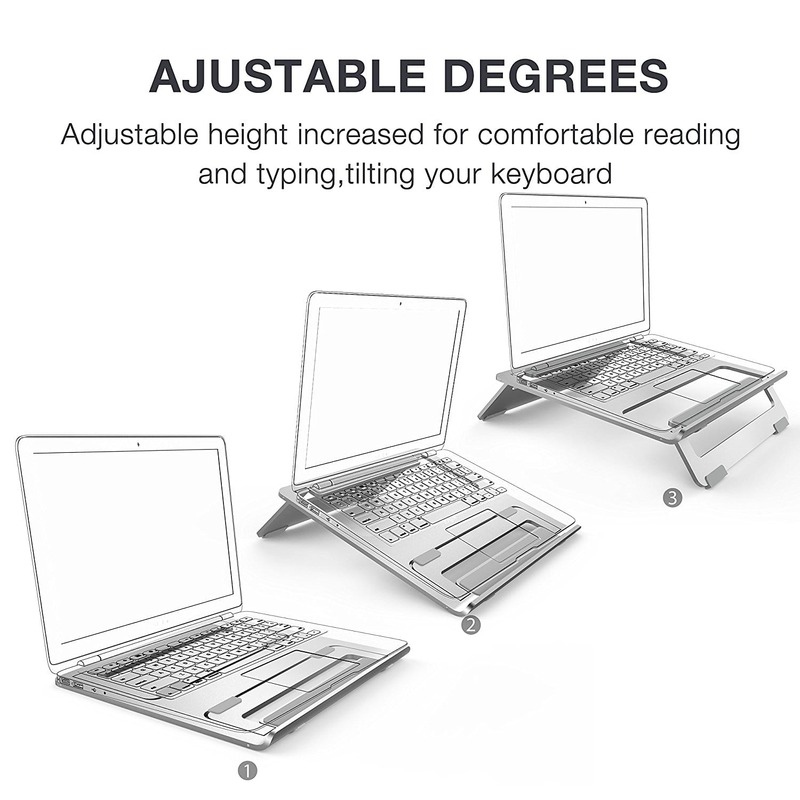 Foldable very easily and quickly. Sturdy and Durable – Aluminium material with silicon on the feet. Not cheap – Around $30, would expect it to be cheaper for such a product. Not compatible with several Mac devices – Would check with my device before purchasing to make sure it’s compatible fully. 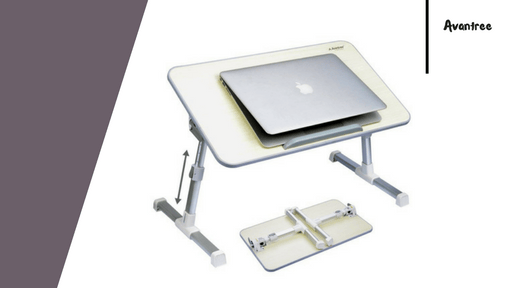 Limited positioning – Only adjustable for 3 height levels. Sharp edges make it inconvenient to put on your lap. 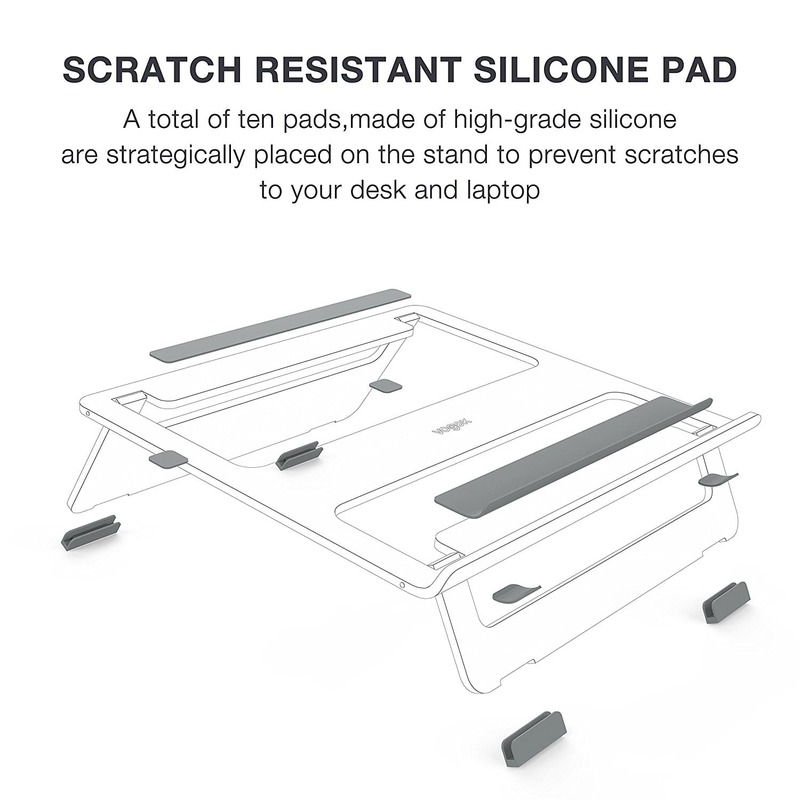 Lack of locking mechanism – Relies on your device’s weight to keep the legs out. 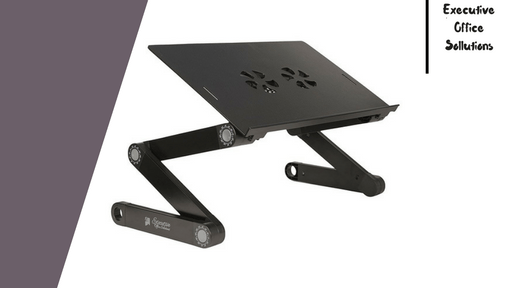 Overall, it’s a solid and reliable laptop stand but you should be careful how to use it. I would’ve loved to see more flexibility in the height adjustment functionality, as there are only 3 levels, but for some, 3 is more than enough. 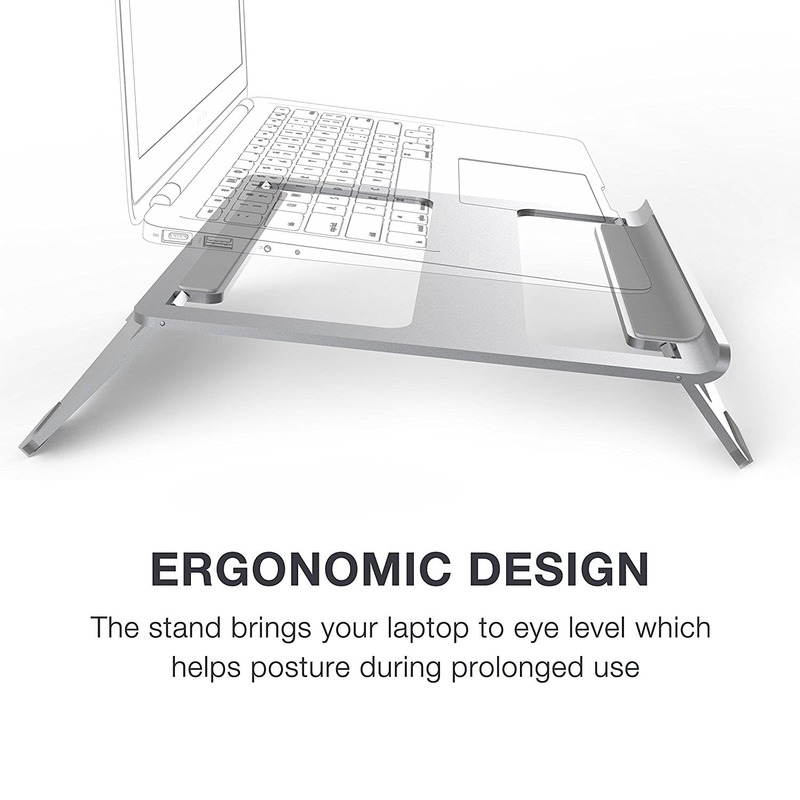 While you can use it on your lap, and has an ergonomic design, it isn’t the most convenient stand for this purpose. 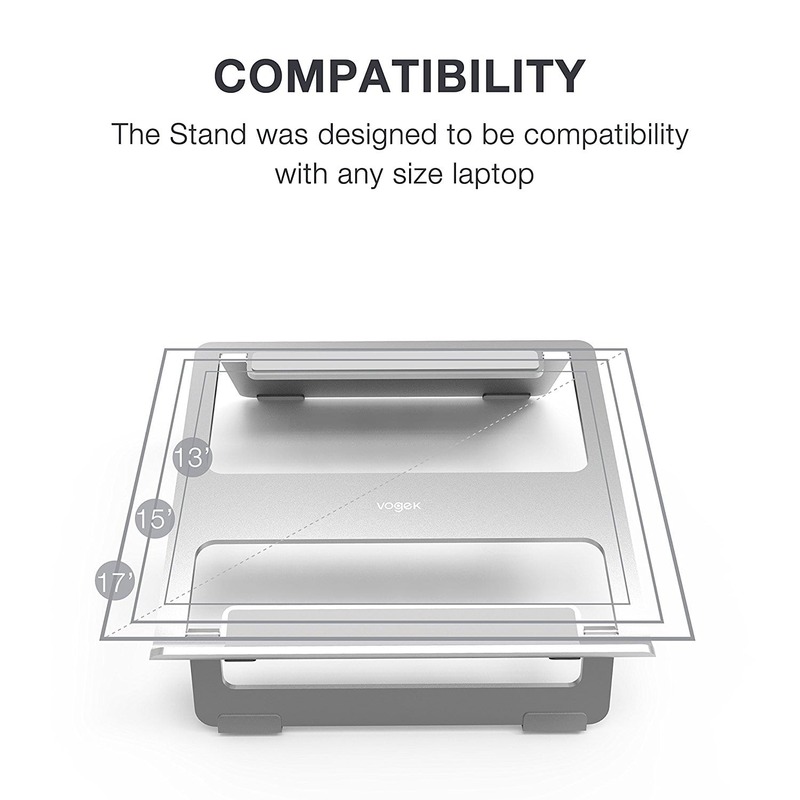 There have been many reports from customers that it did not quite match their device (Mostly MAC users), so I’d make sure that my device really fits this stand before I even think of purchasing. Other than that, the majority of customers were very happy with this stand, and although it lacks a proper locking mechanism to keep the legs out and secured, it’s relatively quite sturdy and durable and I don’t believe you would have a problem stabilising your device on this one. That said, I’m not sure how secure this stand is with heavier-than-normal laptops and Macs. Occasions/Purpose: General Use, All Kinds. 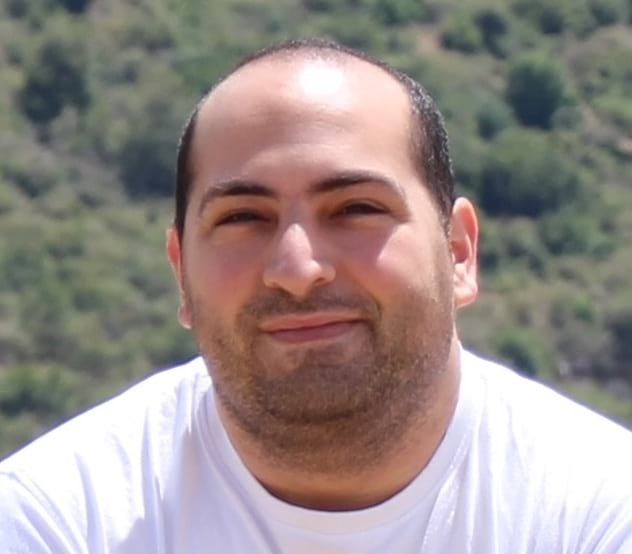 Elias J, thank you for sharing this blog. 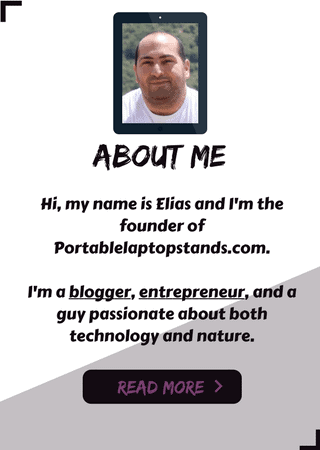 In today’s world where there is really a constraint of space, a foldable laptop stand, like the one you have shared in this blog can actually be very helpful. Thank you for sharing your images along with the pros and cons. I am sure many people will consider buying it after reading this blog.